Nottingham Forest's owner has said he is committed to developing the City Ground into a place "we will all feel proud of". It comes as the club announces plans to increase its capacity to 38,000. Evangelos Marinakis has said "fans are central" to the plans following record season-card figures and a record number of average attendances. This investment is about our club and the city of Nottingham and we are all committed together to deliver a place that we will all feel proud of, the new City Ground, our home forever." A 36-year-old man has been taken to hospital with serious injuries after being stabbed in Kirkby-in-Ashfield. Police were called to Station Street just after 19:00 last night. The circumstances of the attack are still being investigated but it is believed to be an isolated incident. Nottingham Forest has announced major plans to increase its stadium capacity to 38,000, making it the biggest ground in the East Midlands. 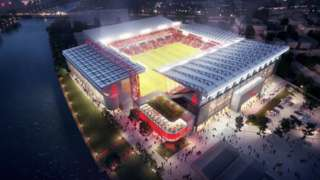 The proposals include plans for a new main stand, plus work to other areas of the ground and the Bridgford End. If planning permission is granted work could start by the end of the 2019/20 season. Becoming cooler and wetter this afternoon - here's your full forecast. 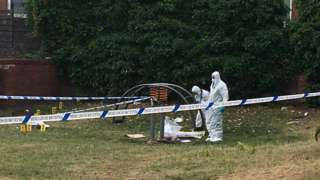 Three men and two women have been arrested on suspicion of murder after the death of a 24-year-old man in Derby. Police were called to reports of an assault on St Thomas Road in the Normanton area early this morning. A man was taken to hospital with life-threatening injuries where he later died. Police have closed Pear Tree Road to St Thomas Road at the junction with Portland Street while they investigate. Drivers are being asked to avoid the area. M1 Derbyshire southbound severe disruption, from J25 for A52 Brian Clough Way Nottingham to J24 for A50 Nottingham South. M1 Derbyshire - One lane closed on M1 southbound from J25, A52 (Nottingham) to J24, A50 (Nottingham South), because of a broken down vehicle. Traffic is coping well. 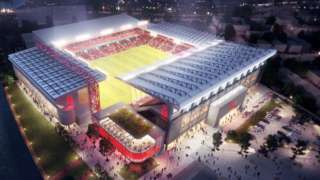 Nottingham Forest said the proposed work would increase capacity of the City Ground to 38,000. Nottingham Forest agree an extended lease at the City Ground and announce plans to expand its capacity to 38,000. Zakarya Etarghi admitted meeting the woman in the park but said she had "no injuries" when he left her. 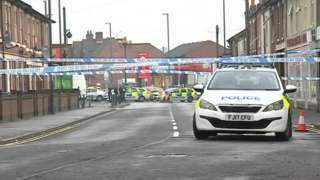 Three men and two women are held after the death of a 24-year-old man in Derby. England centre Manu Tuilagi says he will take time after the Six Nations to make a "massive decision" over his club future. 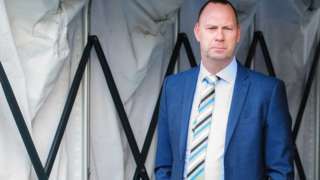 Notts County owner Alan Hardy's interior design company Paragon Interiors Group goes into administration. Chris Williamson had apologised for saying the party had "given too much ground" over the issue. M1 Derbyshire northbound severe disruption, from J25 for A52 Brian Clough Way Nottingham to J26 for A610 Nottingham. M1 Derbyshire - One lane blocked and slow traffic on M1 northbound from J25, A52 (Nottingham) to J26, A610 (Nottingham), because of a broken down vehicle. Today's updates have finished. 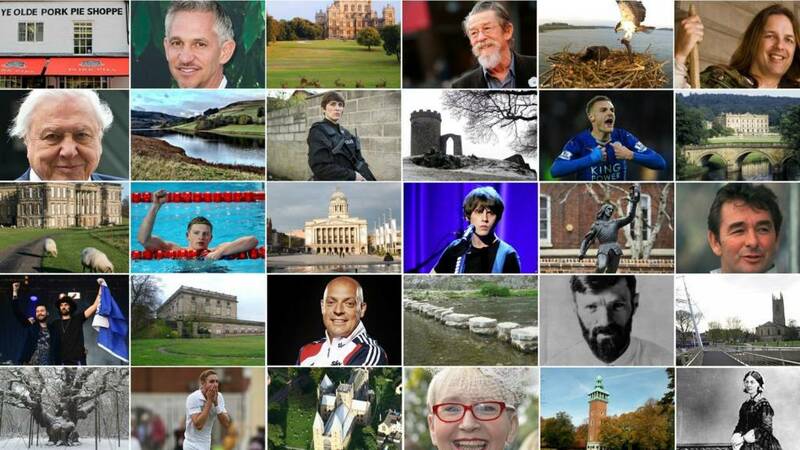 We'll be back with more news, sport, travel and weather for the East Midlands from 08:00 on Thursday. Clear skies at first this evening and into the first part of tonight, with patchy fog reforming. Clouding over from the west later, making for a murky end to the night. Chesterfield's Labour MP Toby Perkins said he welcomed Chris Williamson's suspension but felt it was "regrettable" it had to be "dragged out" of the party leadership. Lilian Greenwood, Labour MP for Nottingham South, told BBC Radio Nottingham: "I'm afraid it's a pattern of behaviour that's brought our party into disrepute. That's why I'm pleased he's now been suspended." Another Labour MP Wes Streeting - who represents Ilford North in Essex - said on Twitter: "Strongly welcome the suspension of Chris Williamson. "We got there eventually and I hope that this sends a message to other people in the Labour Party that dismissing or delegitimising concerns about antisemitism isn’t acceptable." Mr Williamson has yet to comment on his suspension but has apologised for his recent remarks on anti-Semitism. 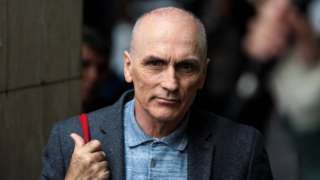 Labour has suspended Derby North MP Chris Williamson over remarks about the party's handling of anti-Semitism. The Derby North MP said Labour had "given too much ground" in the face of criticism over the issue, but later said he "deeply regrets" the remarks. A Labour spokesman confirmed he has now been suspended "pending investigation". This just in from the BBC's political editor.